Keep your toilets flowing with professional sewage treatment options from Freedom Septic Service, Inc., located in Sykesville, Maryland. Whether you need new septic tank installation for your home, or grease trap pumping for your restaurant, we are the best when it comes to providing septic cleaning and septic pumping. Family-owned-and-operated for more than 20 years, our company provides fine workmanship and decades of experience in meeting your septic needs. 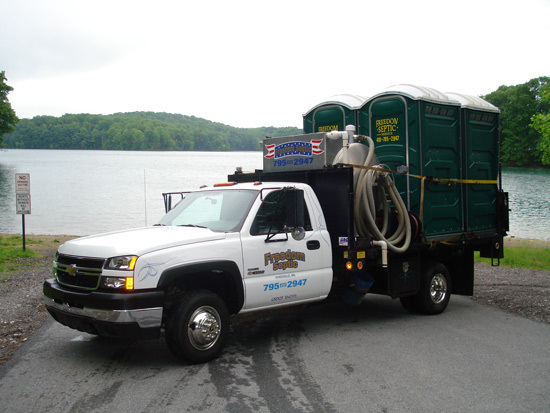 When you need personal sewage treatment options or high-quality restroom trailers for special events, trust us to handle all of the details with friendly service and personal attention. Call or email us today for a free estimate on a range of expert septic services.